When it comes to the things you really want from good decking lights for your boat or yacht, great luminosity is a given, but it’s also got to look great! And this is an important one, because nothing’s worse than boat deck LED lights sticking out like a sore thumb when you’re out on the water. Of course, these are just some of the many factors to consider when choosing the right marine LED lights. If you’re looking for great boat deck led lights that are bright yet discreet enough to not disrupt the aesthetic of your bass boat, then a bass boat LED deck light kit is the perfect solution. 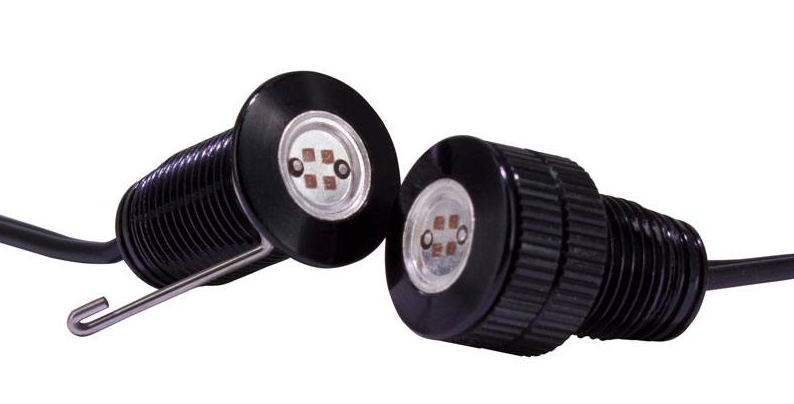 The LED bolt comes with extension waterproof cables, waterproof connectors, and a LED dimmer knob. A tri-chip LED boat module is another great decking light. It’s really tiny so you’d think installation would be hard, but it comes pre-wired, making it another discreet decking light solution, that also happens to be extremely bright. This one’s not specifically for decking lights, but it applies to application of all marine LED lights in general. Depending on the location of the light, you’ll have to position your LED accordingly, so your desired space will be well lit. The lens plays a prominent role in determining the exact angle of light you’ll receive. Lighting up a walkway, for example, will require you to choose a light that shines a wide beam of about 50 degrees. 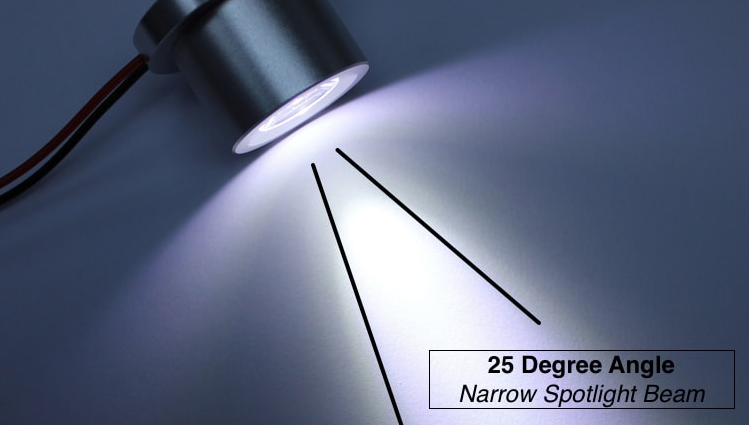 For a much more direct focus on something specific, you’ll need a spotlight to cast a nice strong beam of light like the high intensity LED spotlight, it’s pretty impressive so it’s worth the mention. They’re not just great outdoor lights, these spotlights project a bright and narrow spotlight beam perfect for underneath your boat as it can be fully submerged. It’s truly waterproof and will stand the test of time. Save yourself a lot of hassle by replacing your old light bulbs with LEDs that are the same size or use the same bracket. Not using replacement LEDs of the same size can mean having to enlarge or close up holes, or having to make an adapter for your new LED fixture. This is particularly important when adding underwater marine LEDs to your boat, avoid that sinking feeling you’ll get from having to fix holes below the waterline as it can be painful and costly! Make sure your LEDs regulator is adequately shielded. If it isn’t, EMI or electromagnetic frequencies from the wires can cause unpleasant side-effects like VHF radio interference or static in your stereo. Your marine LEDs need to have the “CE” markings, this proves that it has been inspected by the manufacturer and it meets EU safety, health or environmental requirements. When choosing to light your boat, make sure that you always use marine grade LED lighting. Now when we say “marine LED lights”, we’re talking about more than just any old waterproof LED lights! They need to have housings which are resistant to corrosion by saltwater. Remember that boat LED lights should always be sealed, with a waterproof rating of at least IP67. As for the waterproof part, with the high humidity environment inside a boat, non-waterproof LEDs just won’t cut it. Always use waterproof LED lights when lighting your boat, even in the places you’re certain they’ll never come into contact with water! Check your local regulations to make sure you meet the lighting requirements for coast guard compliance set by the American Boat and Yacht Council. Examples of such lighting regulations would be those covering the red and green sidelights which indicate the port and starboard side of the boat. These need to be able to cover an area of 112.5 degrees from the front to aft on both sides. Regulations like these are important to be aware of, and you’ll need to make sure you meet all requirements that are set out for your specific size of boat or yacht. This one goes hand in hand with #6 on the list. Having the right colored LEDs on your boat is important as it can help other mariners react accordingly, and ultimately will help you avoid any accidents. While bright, colored LEDs look great pretty much everywhere, the color or position of certain accent lights can be in conflict with the Coast Guard’s navigational light regulations. Avoid getting hassled by the authorities by making sure you read all provisions set out with regards to colored LED lights. Contact Oznium today! or view our wide selection of Marine Lights.